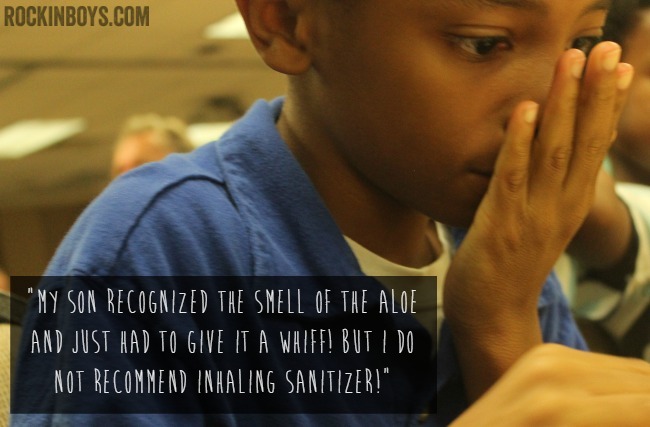 It’s no secret that boys can be a little germy! 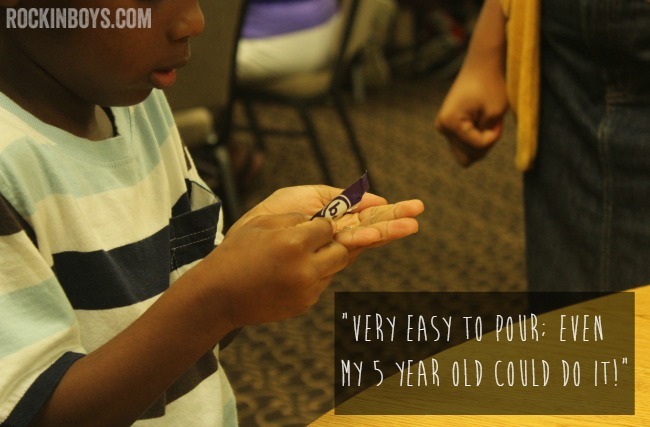 Guest contributor Joyice from Raising Boys Homeschool and her Rockin’ Boys tried out some b4 hand sanitizer and she’s sharing her thoughts with us! We were at church Wednesday evening sitting down to enjoy dinner in the Fellowship Hall. I just did not feel like monitoring the boys in the buffet line so I chose to go up and get their plates on my own. After setting them down, of course, I had to go back through the line for my own plate. Then, get everyone’s drinks, napkins, and silverware and back to the table just in time to bless the flood and dig in. And then I remembered–oh, we should probably wash our hands. Genius, right? I know! I’d love to be like June Cleaver right not and tell you that I lined up my boys for a walk to the bathroom where we lathered the soap to our elbows and rinsed all the dirt and germs aways. But…that.did.not.happen! I went scrounging around in my mom bag purse looking of any sign of cleanser to prevent the visit to the restroom. I purposely placed these gel packets in my bag, knowing they’d be needed at some point; but believe me when I tell you they came at the most opportune time. 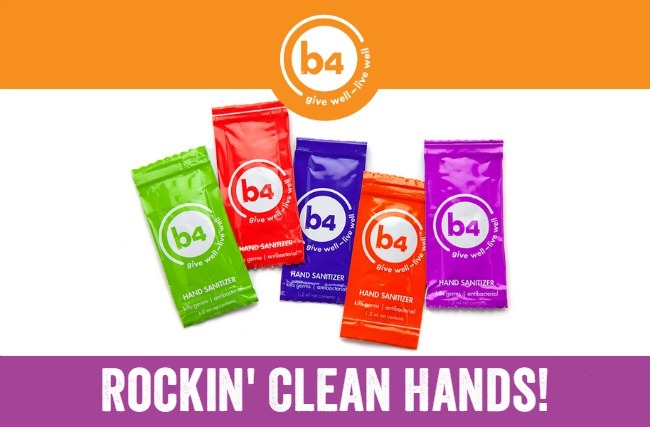 While digging, I came across them and I had enough packets to clean all 6 of ours hands. Score! And if you know what I am going to say next, you are more dear and near than to me than you know. 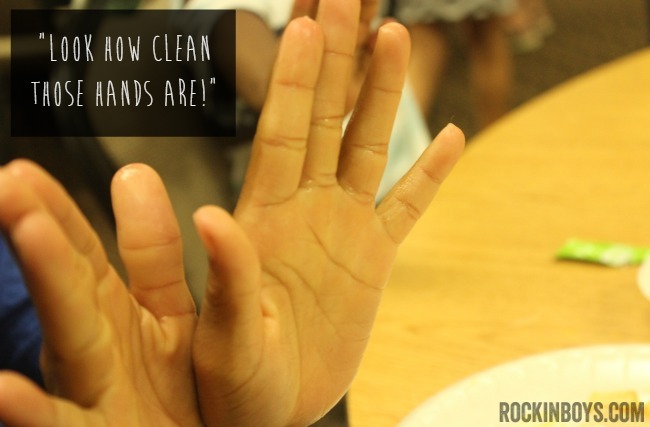 Once they boys finished dinner, I gave them another b4 gel packet just to skip another hand-washing session and run them right upstairs to choir! That’s right moms, I cheated…TWICE! Pretty cool, huh? Yeah, I thought so too. I normally carry a mini bottle of sanitizer but sometimes the top pops from all the shuffle and I am left cleaning out the bottom of my bag and praying my phone did not get wet. (God forbid the red water light should appear on my iPhone!) While I still appreciate the convenience of popping a top, the gel packets offer me security in never cleaning up after a sanitizer spill again. Winning! Joyice is a born n’ raised Southern Belle; married to her college sweetheart and together they’re raising two handsome, rough and tough young men. She and her husband have a fierce, but loving, plan to raise up men God can use. In her “free” time, she enjoys all to do with Jesus, family, reading, writing, teaching, cooking, and shopping!